As the nation grapples with polarization and rancor, it is instructive to look at the state of discourse a half century ago. 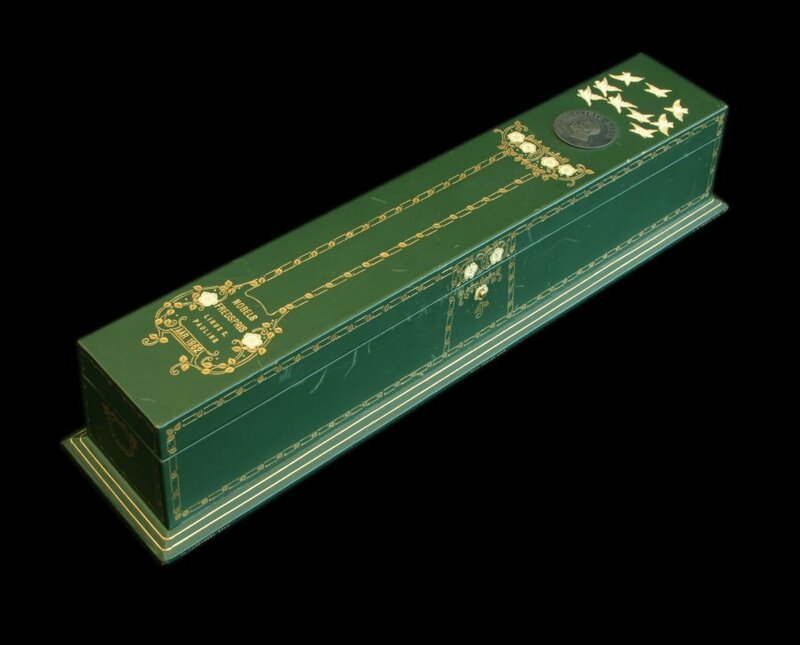 Perhaps there is no better prism to do so than the dinner that President and Mrs. John F. Kennedy hosted for Nobel Prize winners and other American intellectuals fifty-five years ago, on April 29, 1962. Coming at the mid-point of the Kennedy presidency, this dinner honored forty-nine Nobel laureates and spoke to the accomplishments of America while at the height of its power during the Cold War era. In the background, foreign and domestic challenges faced the country as the rivalry with the Soviet Union was intense and growing; race relations were frayed and becoming increasingly violent; and a number of important social issues were just emerging. But there was optimism. Certainly this dinner celebrated American achievement and a belief that the United States could tackle and surmount any problem. And surely part of that feeling was due to the leadership exhibited by the president. Kennedy, whatever his flaws, was a charismatic figure who used words to inspire while understanding the need to be conciliatory and pragmatic in dealing with public issues. 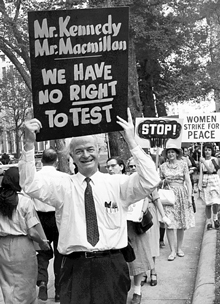 Prior to the dinner, Linus Pauling, the 1954 Nobel laureate in Chemistry, had been picketing the White House for the previous two days because of stalled nuclear test ban talks with the Soviet Union and the announcement that the United States would resume its own testing following a four-year halt. 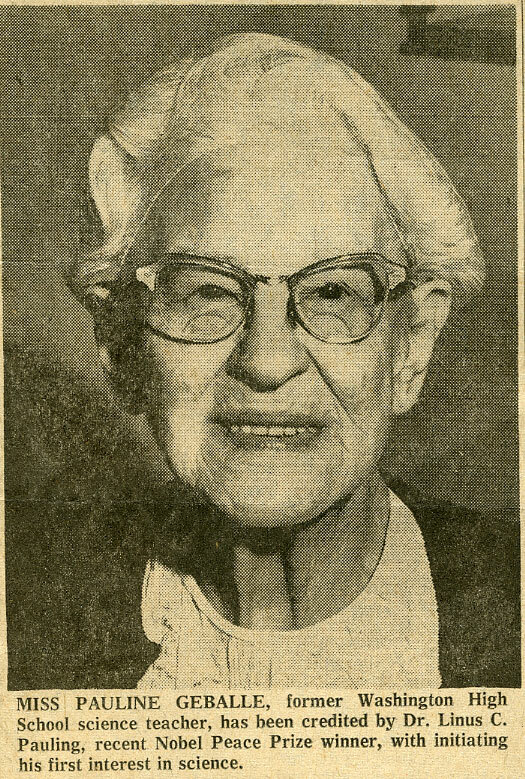 After picketing on the Sunday that the event was to be held, Pauling and his activist wife, Ava Helen, changed for dinner and headed to the White House. 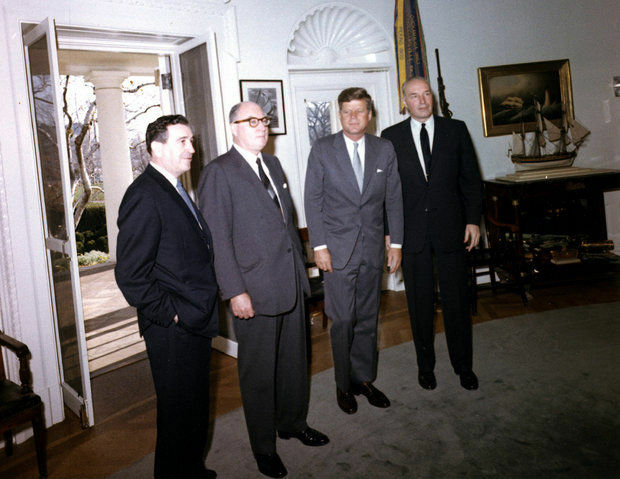 In the receiving line, Kennedy greeted Pauling cordially, commending him for expressing his views. 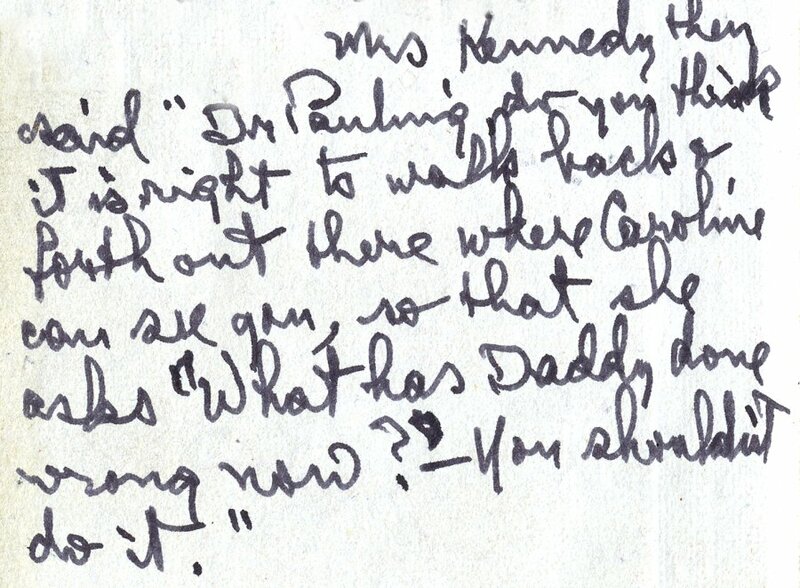 Pauling was ambivalent about Kennedy, but enjoyed himself that evening, even leading the dancing. 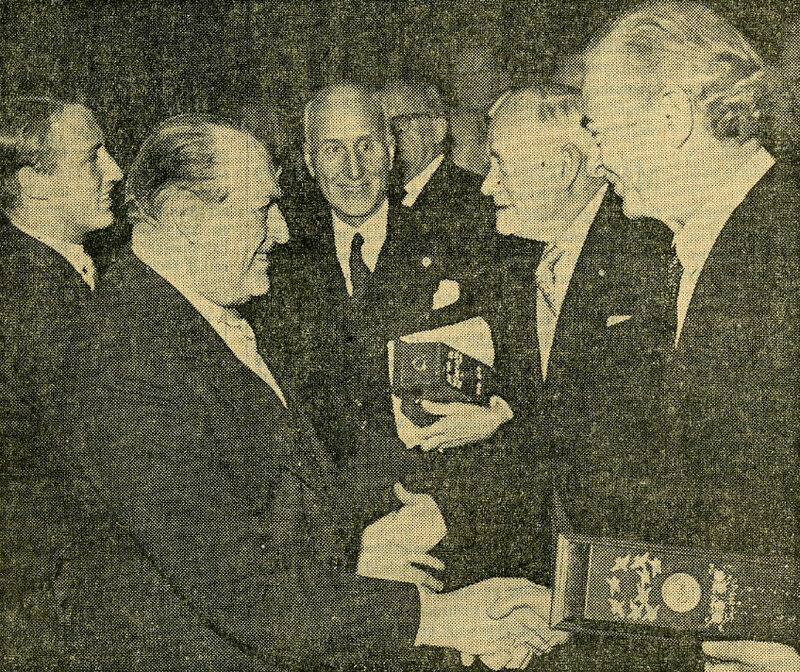 As the dinner was being held, the Tony Awards were also being presented in New York. The award for drama went to the play “A Man for All Seasons,” which is about Thomas More, who placed principle over loyalty to his government; Paul Schofield was honored with a Tony for his role as the lead character. 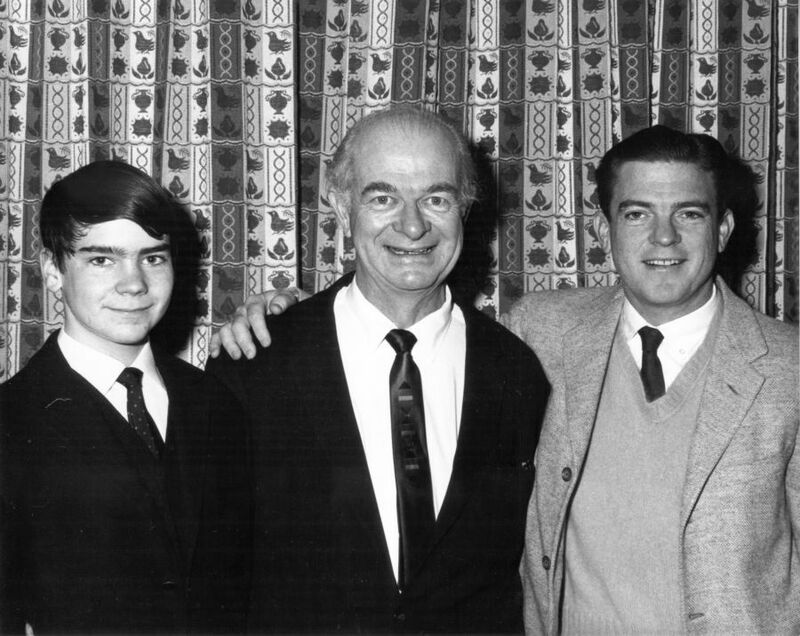 Linus Pauling might have smiled about the coincidence. 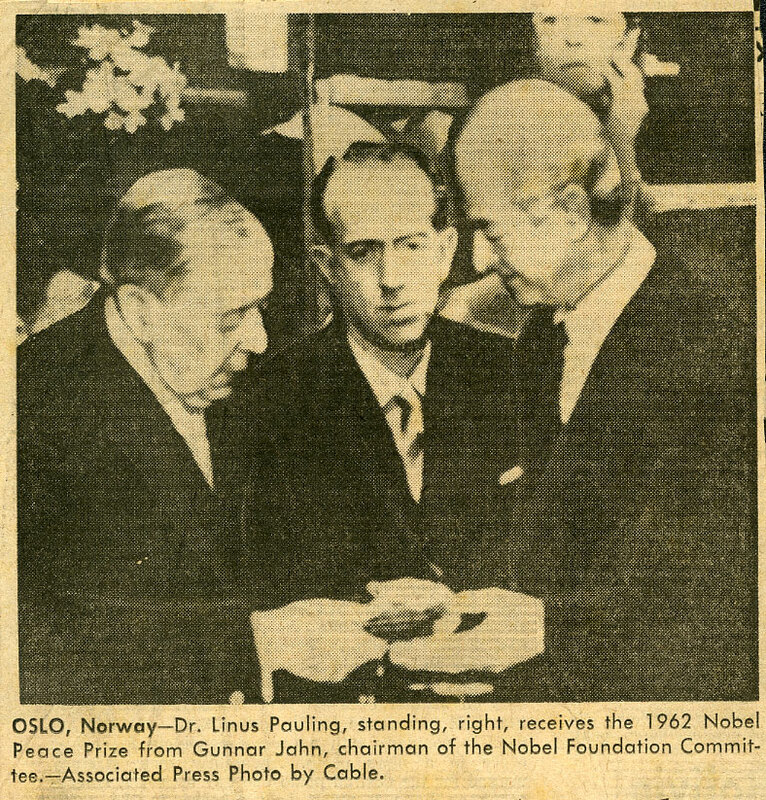 Pauling subsequently received a second Nobel Prize for Peace, the culmination of years’ worth of social activism such as he had exhibited that day. 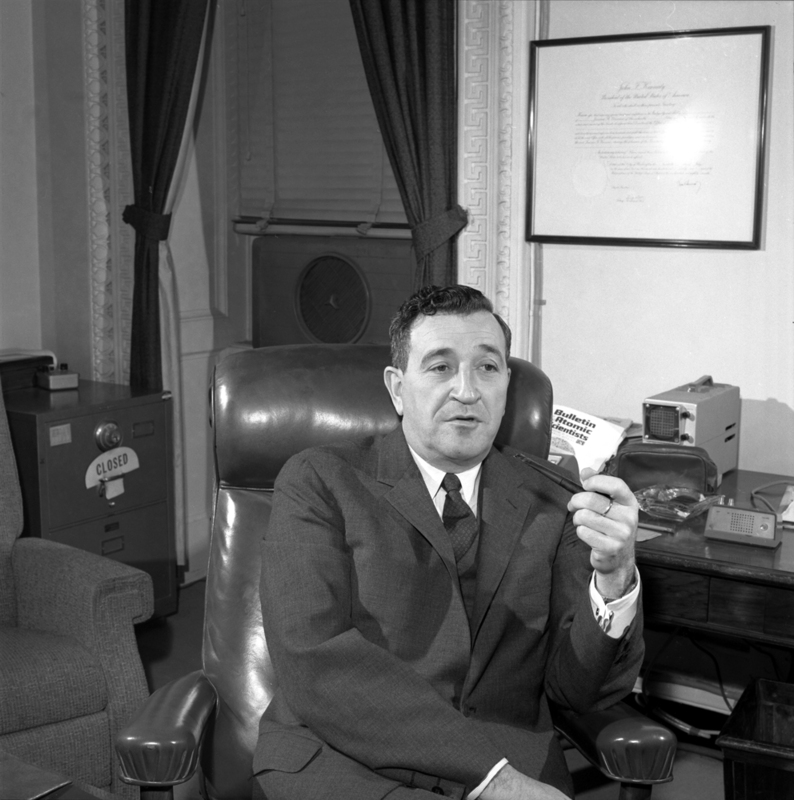 A nuclear test ban agreement was signed in 1963. James Baldwin was another guest at the White House dinner. Baldwin, then thirty-seven years old, had already written several books, including Notes of a Native Son. He would interact with Robert Kennedy at the Nobel event, and this conversation would have important implications for the civil rights movement. One year later, Baldwin and Robert Kennedy met with African American leaders in New York. The meeting was acrimonious, but it proved educational for the attorney general. Eighteen days later, President Kennedy delivered his famous civil rights speech in which he envisioned the future Civil Rights Act. As it turned out, his brother was alone among his advisors in supporting this televised address. Also present at the White House gathering was J. Robert Oppenheimer, who had run afoul of McCarthyism and had his security clearance revoked by the Eisenhower administration. 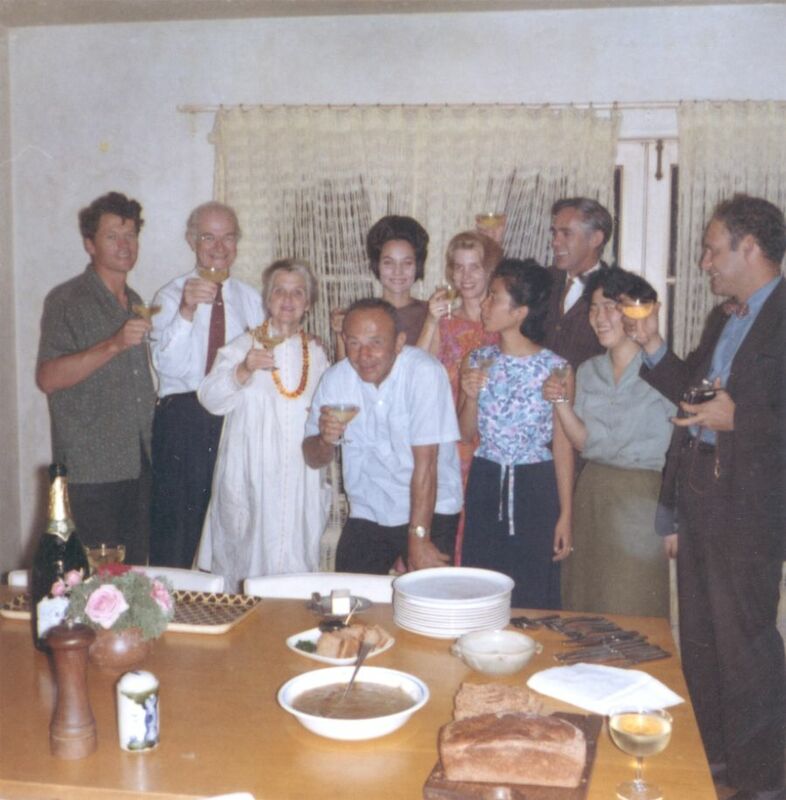 Having spent the past eight years in political purgatory, Oppenheimer was invited by Kennedy to the gala dinner. 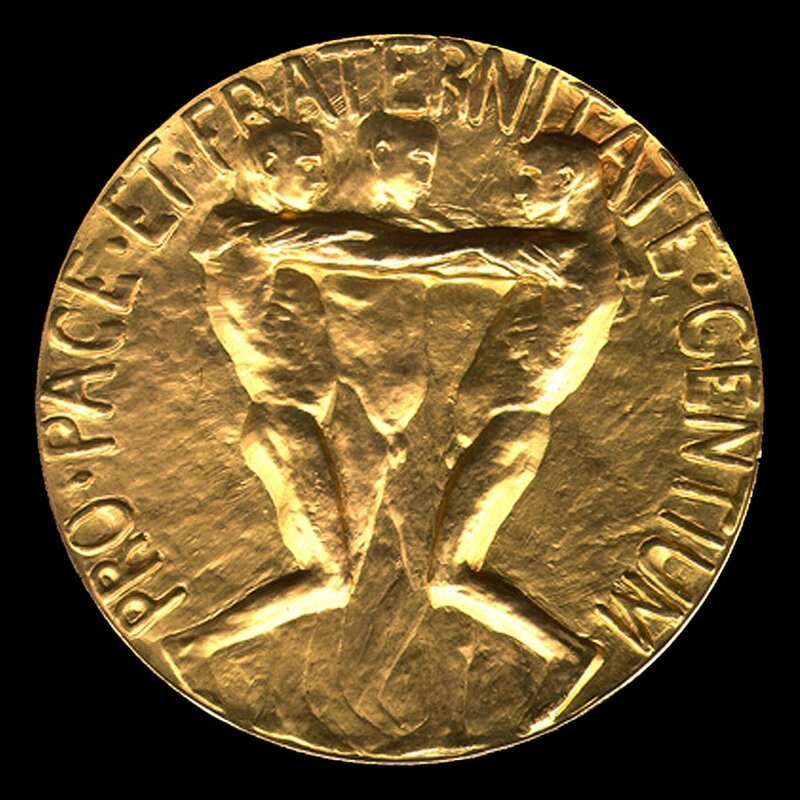 The President understood the value of reconciliation and redemption; the following year, Kennedy selected the “Father of the Atomic Bomb” for the prestigious Fermi Award. Indeed, the dinner brought together some of the nation’s greatest minds. Among the collection of writers present were Robert Frost, Pearl Buck, John Dos Passos, William Styron, and Katherine Anne Porter, whose A Ship of Fools became the number one bestseller that day. The scientists in the room included Glenn Seaborg, responsible for the discovery of ten elements; several others associated with the Manhattan Project; and a veritable who’s who of American physicists, chemists, biologists and medical researchers. 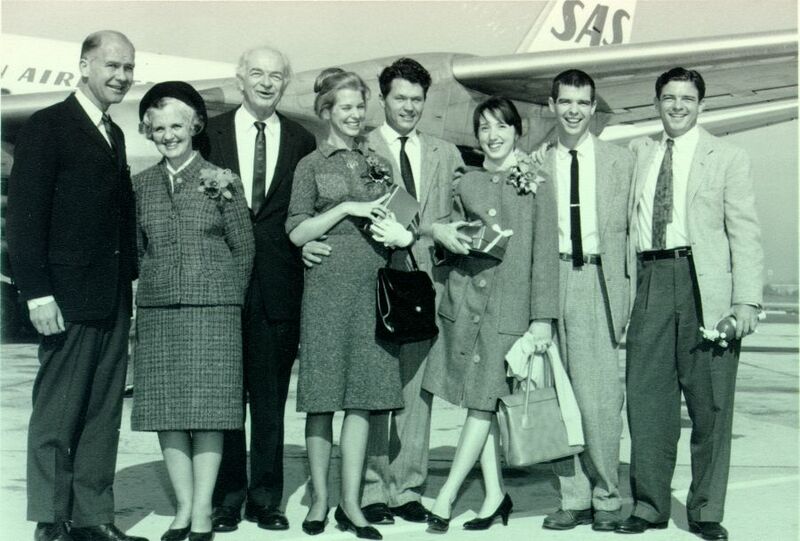 Astronaut John Glenn, the hero of the hour who had recently orbited the Earth, was also there. Much has been made about Camelot, a focus that will surely intensify during the upcoming centennial of John F. Kennedy’s birth. And while images of the 1,036-day presidency of the young leader will forever be intertwined with his untimely, tragic death, it is also clear that Kennedy could uplift the nation through soaring words, measured action, and the ability to bring together people who sought only America’s best interests. A partisan when necessary, he also understood civility and the value of respectful dialogue. 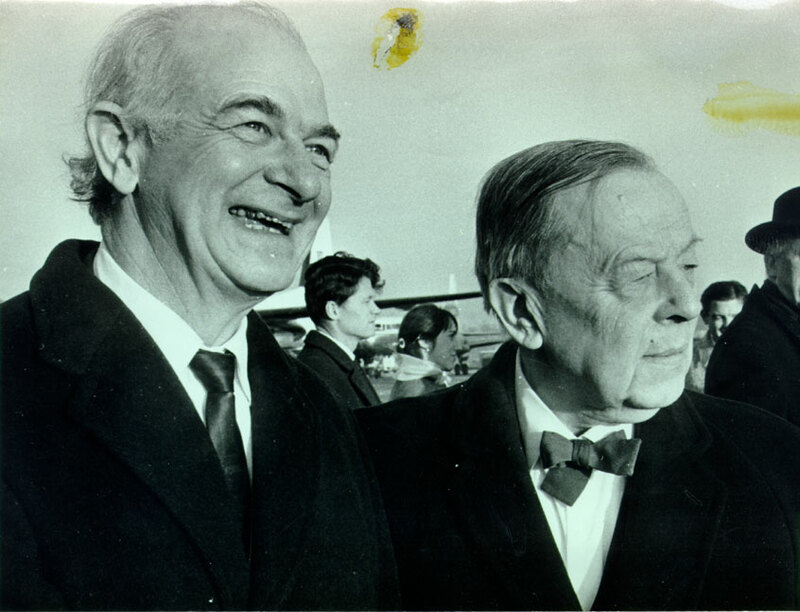 So too was Linus Pauling a man who respected principal and the exchange of ideas. While he appreciated that special evening in 1962 and had been hopeful of the young president’s potential, he was not reluctant to speak out about the great issues of the day. 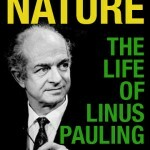 Above all, Linus Pauling was a distinguished scientist and a committed activist for peace. He was truly “a man for all seasons.” We can learn much from him as well. 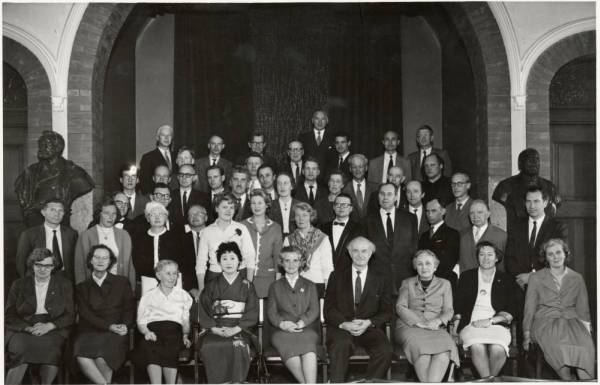 Group portrait of participants at the Oslo Conference. 1961. 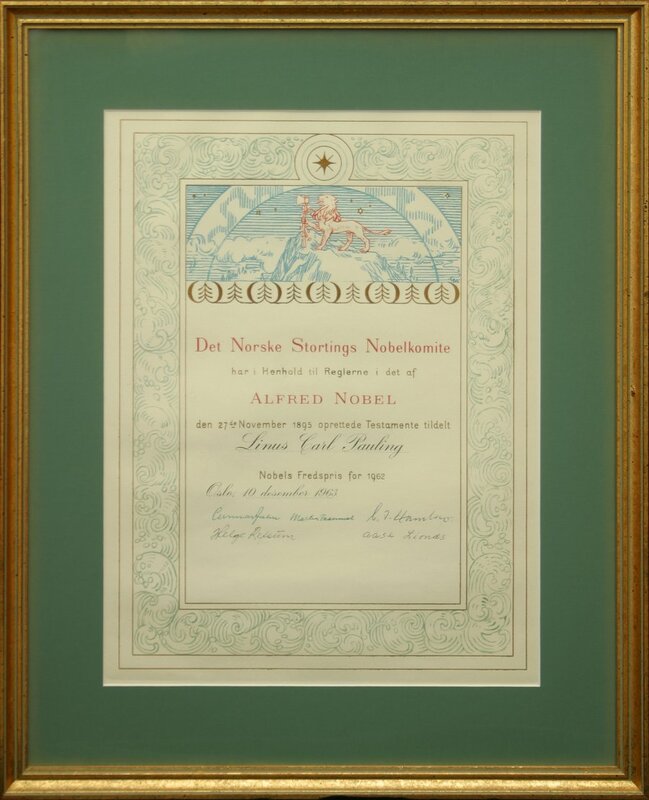 Shortly before the conference was to take place, the Paulings and their associates received word from the Norwegian Nobel Committee that permission had been granted to hold their event at the Norwegian Nobel Institute. 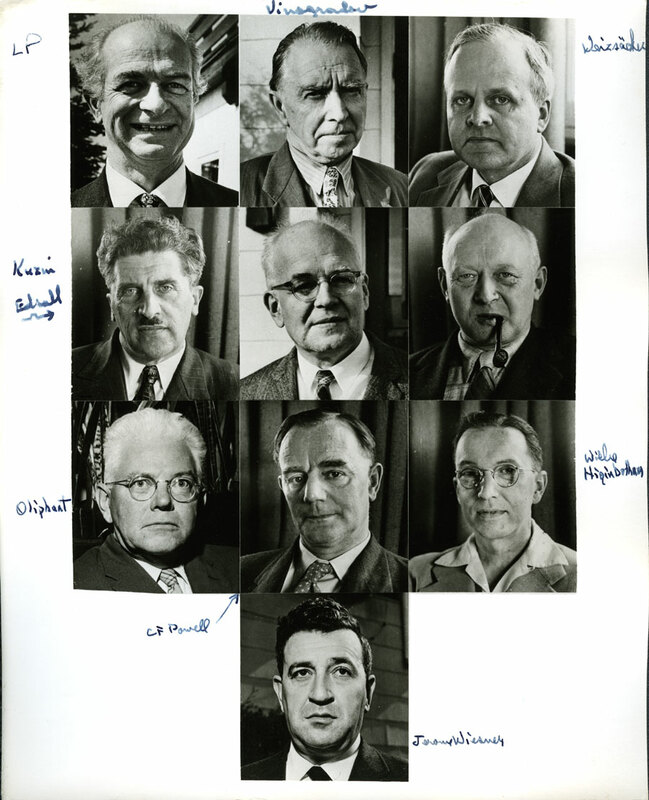 The general plan for the conference entailed studying the spread of nuclear weapons as a problem over several days of seminar-style gatherings, and then to form a scholarly statement about the problem which would be issued to the public. 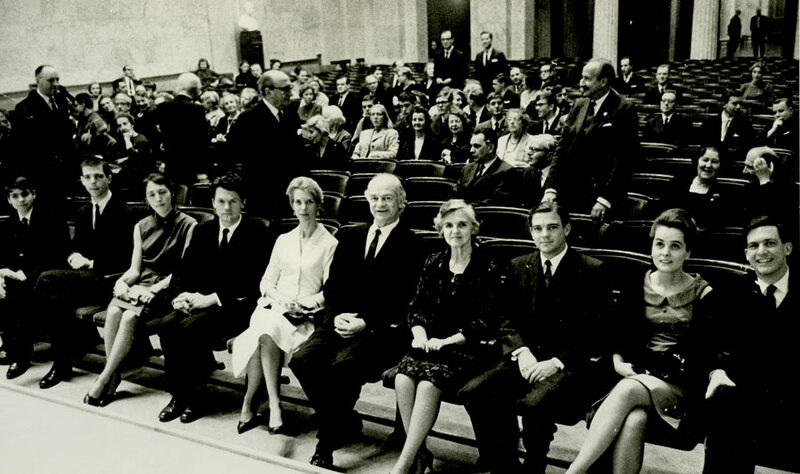 No organizations were allowed to directly sponsor the conference – another safeguard to repel claims of politicization – and attendees were advised that they had been selected as participants because of their expertise, knowledge and experience, rather than their professional positions, status or affiliations. Participants might have the greatest possible freedom to discuss the important questions that will be taken up, from every point of view, and to reach some conclusions on which they could all agree, without being hindered by public knowledge of preliminary and perhaps contradictory statements made in the course of discussion. Pauling let it be known to interested parties that public participation would take place after the drafting of the statement, most likely at the University of Oslo, and following the culmination of the conference. But even with these pronouncements, Pauling was compelled during the conference to reiterate this point. Though spouses of participants were allowed to attend, several attendees brought friends during the first day of the conference and were rebuked accordingly. Just as the image of the conference was carefully shaped in the weeks and months preceding it, so too were the themes and perspectives that were planned to guide the event’s proceedings. Though they had around five days to do so, creation of the final conference statement was carefully planned from the outset of the gathering. The process was structured such that suggestions for material that participants wanted to see incorporated into a preliminary draft of the conference statement were to be given to members of a Drafting Committee at the beginning of the conference. After this was done, there were to be several days of presentations and discussion, during which an initial draft of the conference statement would be composed and reviewed. The final day of the conference was set aside for concluding remarks, discussion, last minute changes, and voting for approval or rejection of the final statement. 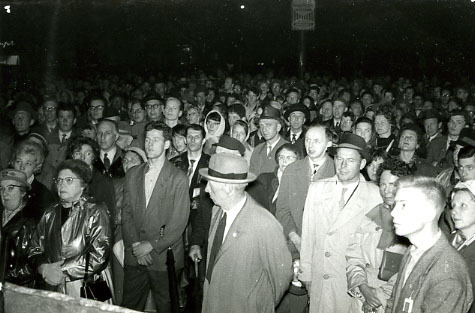 A segment of the crowd gathered for the Oslo demonstration, May 1961. 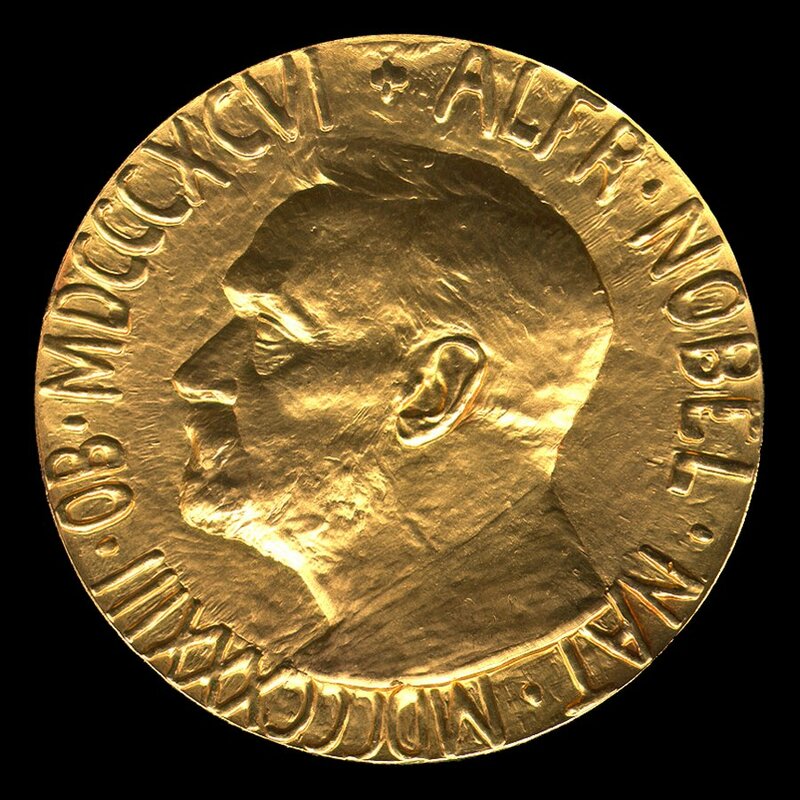 As it turned out, the statement was approved unanimously by the conference-goers on May 7th, and presented that evening to a gathering of the public at the University of Oslo. After reading the statement, those present conducted a peaceful demonstration through the streets of Oslo in recognition of the collective effort toward the furtherance of world peace. Each addition to the numbers of nations armed with nuclear weapons drives its neighbors toward acquiring similar arms. As nuclear weapons pass into more hands, the chance increases that a major war will be started by some human error or technical accident. The spread to more nations increases the chance of deliberate initiation of nuclear war. Increase in the number of nuclear powers would further increase the difficulty of achieving disarmament. After it obtains nuclear weapons, a nation becomes a more likely target in any nuclear war. 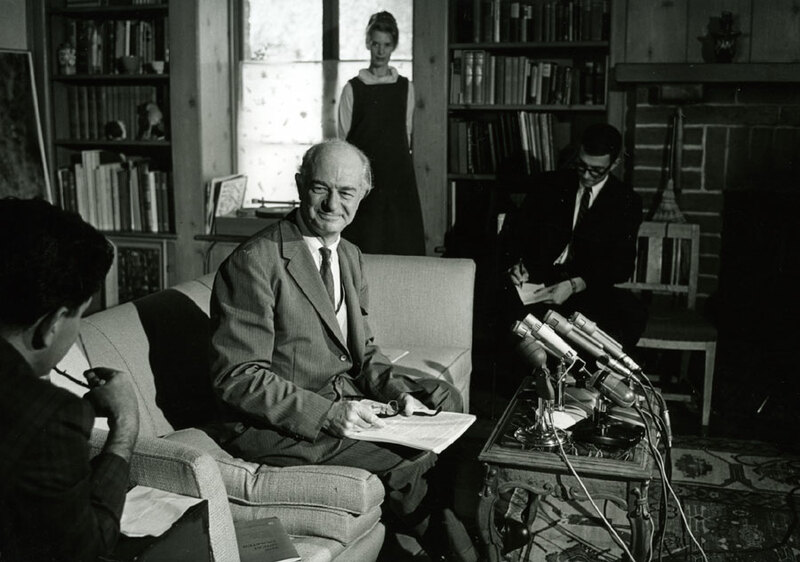 Pauling’s words turned out to be prescient as, in the wake of the conference, a number of developments took place that infuriated him and temporarily dampened his resolve. For one, as part of more complicated international political maneuverings, the Soviet Union announced plans to resume testing of nuclear weapons, followed shortly thereafter by similar stated intentions from the United States. 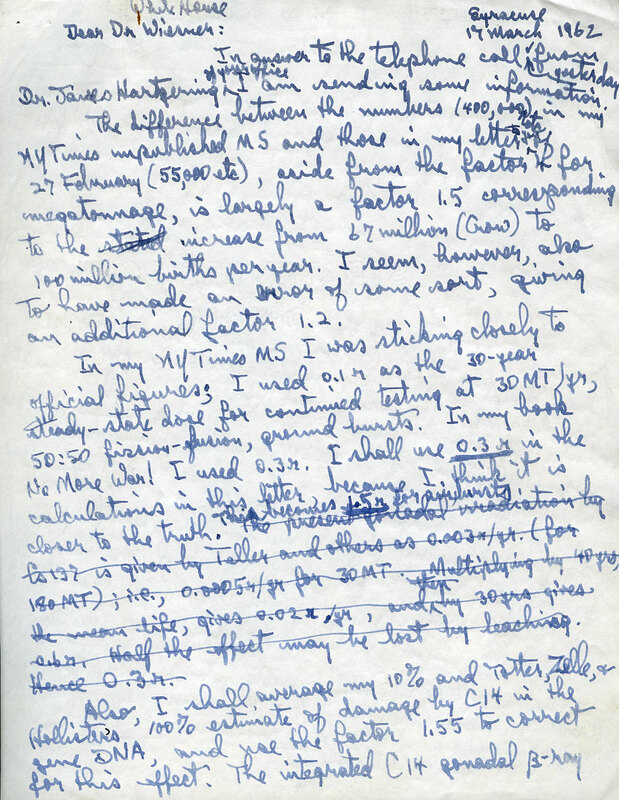 Pauling subsequently set about writing letters to Nikita Khrushchev and John F. Kennedy, imploring them not to resume testing; he received no answer from the Kennedy administration, and was delivered a largely apologetic reply from Khrushchev. In his letter to Pauling, Khrushchev suggested that the decision to resume testing was a painful one, but necessary due to the movement into European waters of American Polaris submarines and nuclear missiles. …could cause damage to the pool of human germ plasm such that during coming generations, several tens of thousands of children would be born with gross physical or mental defect, who would be normal if the bomb test were not carried out. 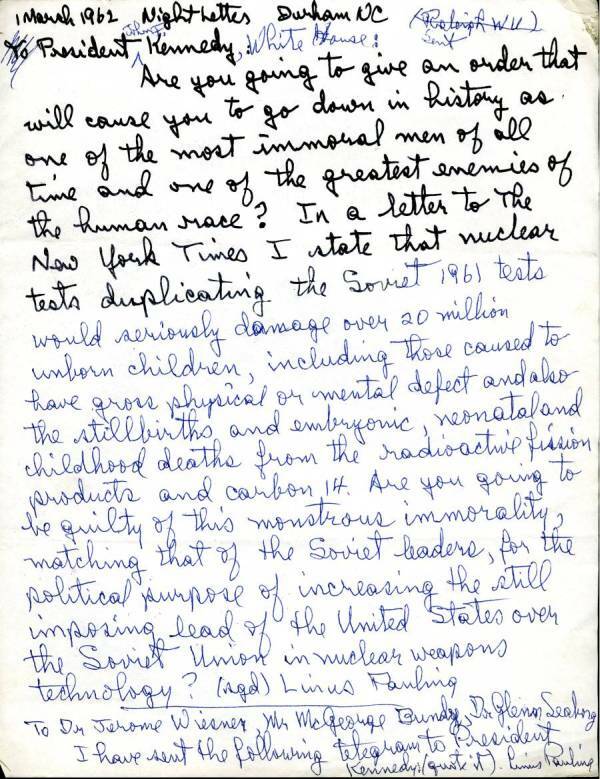 After the detonation of the 50-megaton bomb, followed by a number of additional less-substantial but still extremely powerful explosions, Pauling began criticizing the Soviet Union at a level that was virtually unparalleled in his previous approach to internationally oriented dialogue. The U.S. also was not spared from similar denunciations by Pauling, but he was particularly disturbed by the magnitude of the Soviet endeavor after years of seemingly productive discussions towards disarmament in Geneva. Though Pauling became extremely disillusioned by the decision of both nations to resume testing, he was eventually rewarded for his sustained efforts. 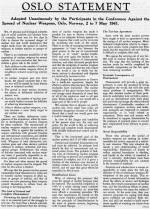 In 1963, following resumed negotiations, the United States and Soviet Union signed a partial test ban treaty that halted the testing of nuclear weapons in the ocean, in space and in the atmosphere. 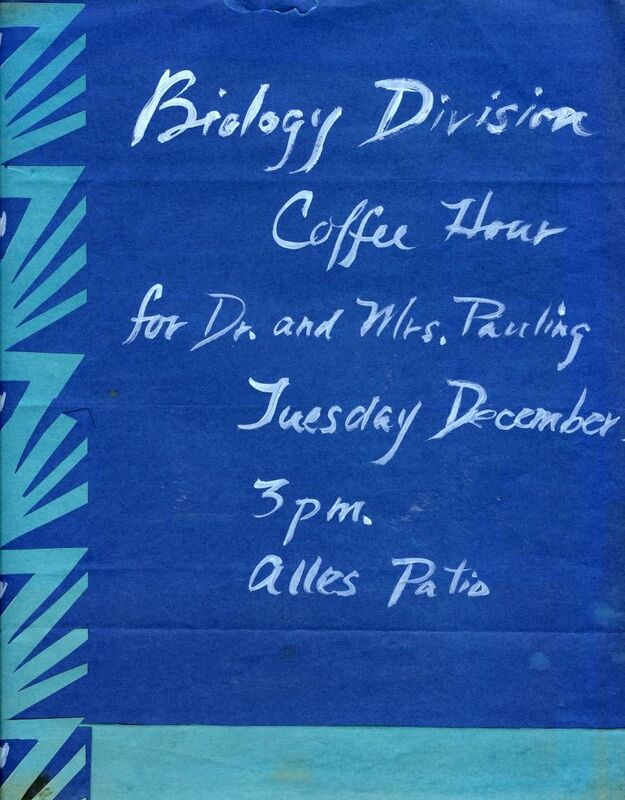 Pauling’s impact on this development was formally recognized several weeks later when he received word that he had been chosen as recipient of the Nobel Peace Prize.